This essay was originally written for Noircon 2010. 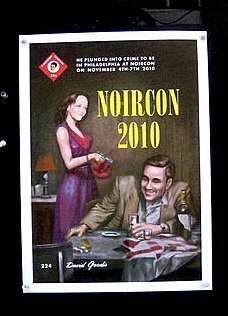 If you don’t know about Noircon, it is an amazing conference dedicated to all things noir. It is held every two years in Philadelphia, and was originally known as Goodiscon back in its inaugural year of 2006. You can visit the Noircon site by clicking here. Finally, I am interested in revising this article for publication in a film journal. So, I welcome any and all comments on this piece. 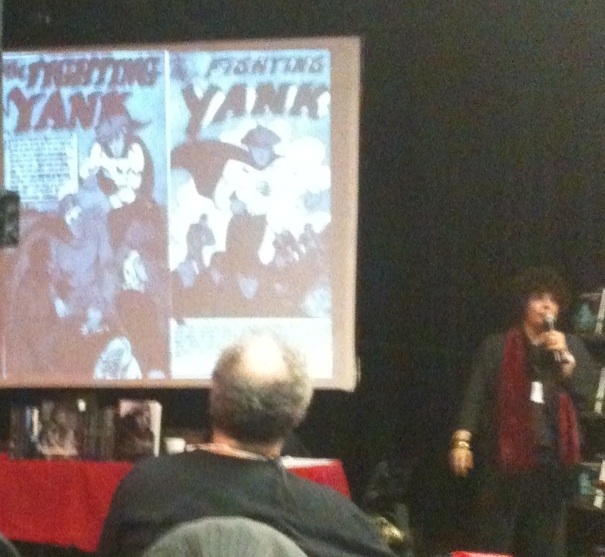 Thanks again to Lou Boxer, Deen Kogan, and all who make Noircon a truly remarkable one-of-kind event. Looking forward to 2012. Given that many of the greatest films noir have been based on short stories and novels, you would expect more attention paid to the issue of noir adaptations. In fact, adapting a previously published work into a screenplay is a challenging artistic task, and this type of writing is given public acknowledgement with its own award every year at the Oscars. However, studies of noir screenwriting and noir adaptations are still too few, and the roles of screenwriters in the production of films noir tend to be footnotes. Even knowledgeable film noir fans may think writers’ greatest contribution to the noir style involves their crafting of hard-boiled dialogue. But screenwriting is a complex process, frequently done collaboratively in the Hollywood system. And the process of writing a screen adaptation is more than merely transcribing or rearranging a novel or short story into a screenplay format. Writers matter, and bring with them to the writing process a constellation of ideas and practices that impact what ends up in the final screen version. The development of film noir benefited from the criss-crossing of writing talent. Each time different writers and directors criss-crossed, the potential of film noir increased, creating new stories and new possibilities. Screenwriters tend to get short shrift due to the predominance of auteur theory in film circles. First articulated by French cineastes in the 1950s such as François Truffault, auteur theory claims that the author of a film is its director. This reinvention of film authorship does much for the stature of film directors, but tends to minimize the importance of screenwriters. Even from the outset, as Robert Carringer points out, auteur theory diminishes the truly collaborative nature of film authorship. Carringer argues that what is needed is an approach to film authorship that entails “the temporary suspension of single-author primacy” and that has “the primary author…reinscribed within what is now established as an institutional context of authorship.” (377) Interestingly enough, Carringer uses the film Strangers on a Train to explore his thesis. I will also use Strangers on a Train as my main example, but investigate this question from a different point of view. I am interested in how noir adaptations often entail a “complicated network of similarities overlapping and criss-crossing.” (Wittgenstein §66). 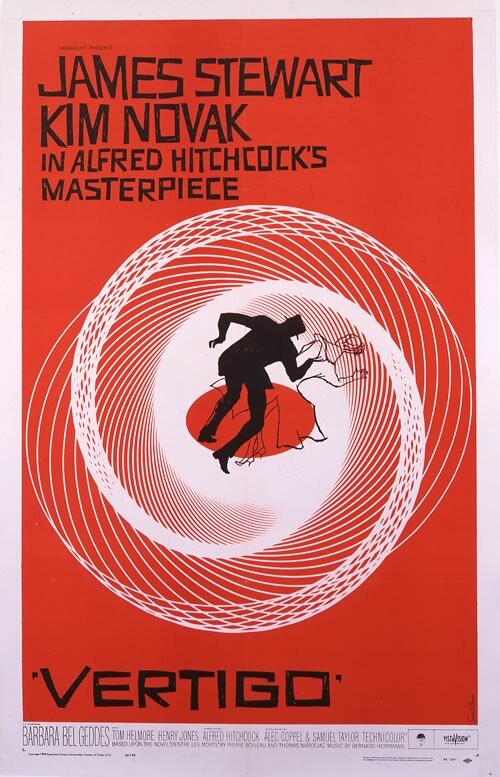 The Oxford English Dictionary defines “criss-cross” as “a network of intersecting lines.” This is a useful way of thinking about the process behind noir adaptations, of thinking about screenwriters as part of a “network.” Screenwriting (like many forms of creative writing) can be a solitary activity with minimal interactions with other creative personnel. While there is some truth in the “lone writer” model, a criss-cross theory of noir adaptation explores areas of collaboration and commonality in the screenwriting process. In this regard, a criss-cross theory has connections to Ludwig Wittgenstein’s notion of defining things by way of their “resemblance” to other things. In other words, noir writers working on an adaptation have similarities to each other, just like members of a family resemble each other while also being distinct and separate personalities. Such authorial networks can be quite complicated, but teasing out the resemblances—a kind of “family tree” of noir—between different writers yields new insights into noir adaptations. In many ways, the writer of a noir adaption is engaged in Bruno Anthony’s notion of “criss cross.” The hired screenwriter is literally “doing” someone else’s murder (albeit in a fictional writerly sense!). Furthermore, screenwriters do not tend to coalesce randomly around certain types of films. Rather, writers are drawn to film noir by a shared interest in similar kinds of characters, themes and stories associated with hard-boiled or mystery writing. Strangers on a Train brought together a killer ménage-a-noir in Patricia Highsmith, Raymond Chandler, and Alfred Hitchcock. 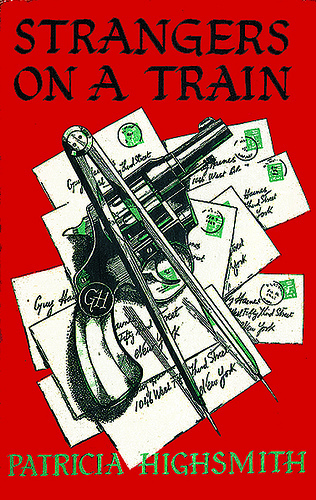 Strangers on a Train was Highsmith’s first novel. Even though she was paid a mere $7,500 dollars for the screen rights, the money paled to the prestige and visibility her novel received by being made into a major motion picture. 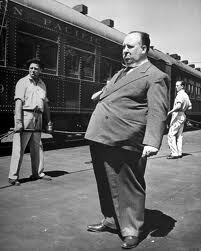 Hitchcock, on the other hand, was in mid-career and in a bit of a crisis. His latest films had been flops (Under Capricorn and Stage Fright), and the great director was in need of a comeback. Strangers would fit that bill superbly and kick off Hitchcock’s greatest decade of filmmaking. Finally, the screenwriter chosen by Hitchcock to adapt Highsmith’s novel was at the end of his celebrated career. For the Strangers screenplay, Hitchcock and Warner Bros. hired one the most accomplished noir writers of the 20th century, an author synonymous with hard-boiled detective fiction. While the film would be a boon to Highsmith’s nascent career, it was Raymond Chandler’s fallow finale to Hollywood screenwriting. Chandler ended up having to fight for screen credit on Strangers, and he co-received an onscreen credit swith the little known Czenzi Ormonde, an assistant of Ben Hecht’s who worked on the script after Hitchcock largely threw out Chandler’s draft. Therefore, Chandler’s writing efforts are largely absent from the final film. For sake of simplicity, I will focus on the three highest profile authors, and avoid discussing other writers who worked on aspects of the screenplay, such as Whitfield Cook’s work on the treatment or Czenzi Ormonde’s final script revisions. Furthermore, I want to say only a few words about the larger-than-life personalities of Highsmith, Chandler and Hitchcock, as these are topics taken up elsewhere at length. Published accounts often highlight the antagonistic aspects of this collaboration and recount the interpersonal battles between Hitchcock and Chandler. While there were incompatibilities and antagonisms between Hitchcock and Chandler in their adaptation of a Highsmith novel, I am more interested in their points of commonality and their networked intersections. What does the criss-crossing of these three authors contribute to the development of film noir? Clearly, all three were drawn to the source material. Hitchcock has said that he found in Highsmith’s novel “the right kind of material for me to work with.” (Truffault, 193). The transference of guilt from one character to another (the core idea in Highsmith’s novel) was already a staple of Hitchcock’s films. For his part, Chandler was probably drawn in by the thematic similarity to his own screenplay for The Blue Dahlia, where a man’s life crumbles due to the mysterious circumstances surrounding his wife’s murder. And while Patricia Highsmith wanted nothing to do with the writing of the screenplay, some of the film’s most memorable moments are already found in her novel. 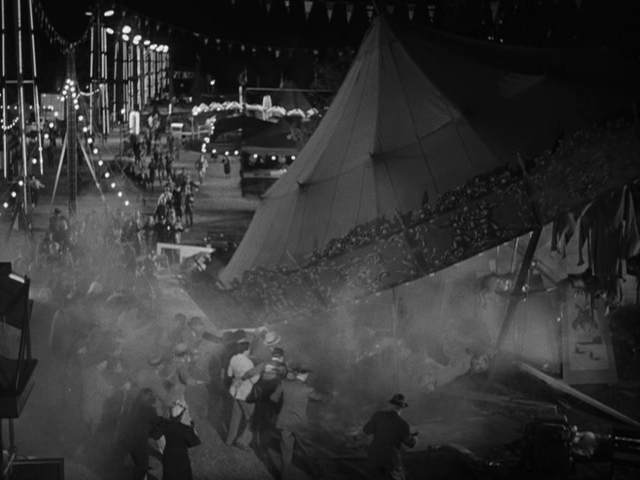 Highsmith even included the music cues for “And the Band Played On,” utilized so memorably by Hitchcock in the film version. 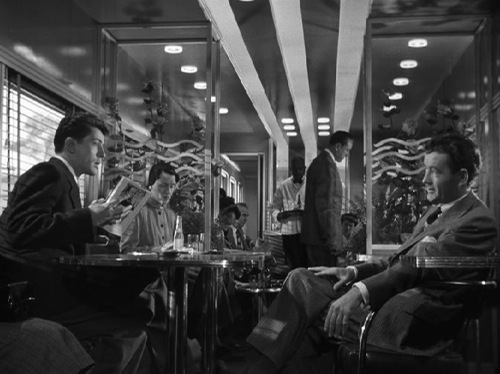 Seldom mentioned about the criss-cross of Highsmith, Chandler, and Hitchcock is that taken as a network of writers, the screenplay of Strangers can lay claim to three different, but major, traditions that contributed to the noir style. Highsmith was not only an exceptional novelist, but she began her career writing for comic books. As Highsmith biographer Joan Schenkar points out, Strangers owes much “to the crude Alter Ego psychologies which glazed the plots of her comic book scenarios…” (259) Chandler, as is well known, began writing for pulps such as Black Mask, and was a pre-eminent hard-boiled novelist. Hitchcock’s mastery of filmmaking can be traced back to silent era classics such as Blackmail, as well as through his growing embrace of the noir style in films such as Shadow of a Doubt, Notorious, and Rope. These authors, then, brought to the screen version of Strangers an amalgam of ideas from popular story forms—the comics, the pulps, and film noir—and in doing so, break new ground and generate an exciting new story. The criss-crossing of these authors resulted in significant changes from Highsmith’s novel. As primary author, Hitchcock was responsible for the largest changes, including changing Guy’s (Farley Granger) character from an architect into a tennis player, moving the majority of the film’s action to Washington D.C. and creating a brand new ending for the story. In fact, after the halfway point of the film, the novel and film bear little resemblance to each other. Why did the film depart so strongly from Highsmith’s novel? As Chandler writes in his letters from that time, the problem was an issue with character motivation. A film audience would have trouble believing Guy (played by Farley Granger) would murder Bruno’s father, which is what happens in the book. As Chandler writes: “The premise is that if you shake hands with a maniac, you may have sold your soul to the devil.” (206) And Chandler literally begged Hitchcock to consider the “motivation” problem. In a letter he writes to Hitchcock, Chandler says: “Sacrifice a camera shot if necessary. There’s always another camera shot just as good. There is never another motivation just as good.” (142) But Hitchcock was not overly concerned about plot problems or character motivations in this film. As a film director, Hitchcock was perhaps more interested in the formal means by which he tells his stories. Strangers has some brilliant and exciting set pieces including Miriam’s murder reflected in an eyeglass, an unforgettable tennis match, and a thrilling finale on an out-of-control merry-go-round. operator is shot during an escape attempt. While Petrie’s claim might still be speculation more than proven fact, the filmed ending of Strangers on a Train moves away from the noirish and fateful ending of the Highsmith novel. In the novel, Bruno drowns in a drunken stupor, and Guy ends up being caught by a private investigator and sent to jail for the murder of Bruno’s father. Of more interest to criss-cross theory is that Hitchcock’s change of the ending probably did give Chandler “fits.” Chandler liked the idea of having Guy punished by the end of the story. Regardless of where Hitchcock came up with the new ending, the director exchanged a noirish ending for an ending that would be appropriate for an English mystery cozy (a genre Chandler detested). But the choices made about the film’s ending demonstrate how many different noir and mystery traditions were being evoked out of the authorial networks behind this particular adaptation. And amazingly, when one watches the final film, the adaptation does not come across as a bunch of independent ideas nor as spare and disparate parts thrown together, but a fully realized film noir under the primary authorship of Alfred Hitchcock. Highsmith, Patricia. “Introduction,” The World of Raymond Chandler. (New York: A & W Publishers, Inc., 1977). Hiney, Tom and Frank MacShane, eds. The Raymond Chandler Papers: Selected Letters and Nonfiction, 1909-1959. (New York: Atlantic Monthly Press, 2000). Petrie, Graham. “Transfer of Guilt: Hitchcock and Chandler on Strangers on a Train,” Sight and Sound, July 2009, 46-49. Phillips, Gene D. Creatures of Darkness: Raymond Chandler, Detective Fiction, and Film Noir. (Lexington, KY: University of Kentucky Press, 2000). Schenkar, Joan. The Talented Miss Highsmith: The Secret Life and Serious Art of Patricia Highsmith. New York: St. Martin’s Press, 2009). Truffault, Francois. Hitchcock. Revised Edition. (Touchstone Book: New York, 1983).